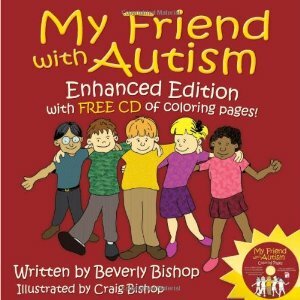 This book’s colourful pictures and delightful storyline will encourage acceptance and understanding among children, while the printable coloring pages will explain and connect learners! My Friend with Autism is the special result of parent Beverly Bishop’s determination to educate her son’s classmates about autism. This enabled her son to fit in at school. A child narrator explains that his friend with autism is good at some things and not so good at others—just like everyone else! At the end of the book are Page-by-Page Notes for Adults, which supplement the text with facts and explanations to further educate teachers and classmates’ parents.